Successfully Added M-Horse Power 1 Smartphone - Quad Core CPU, 5 Inch Display, Dual SIM, 5050mAh Battery, Android 7.0 OS, 5MP Camera (Black) to your Shopping Cart. The M-Horse power 1 is all about long-lasting power. This series of smartphones feature large batteries and economical processors that will bring you plenty of usage times so you can go for days without recharging. A 5inch HD display has respectable brightness and color rendition. The 2.5D curved glass and narrow, almost non-existent side bezels on the phone offer a nice design. With a 16:9 aspect ratio and 67% screen to body ratio it's a good looking phone for an entry-level model. The M-Horse Power 1 smartphone is equipped with the MediaTek 6580A Chipset and 1GB of RAM, so it should be able to handle most your phone needs but isn't going to be a gaming or multitasking monster. There are 8GB of internal storage and a micro SD card slot lets you add up to 32GB of extra memory space. 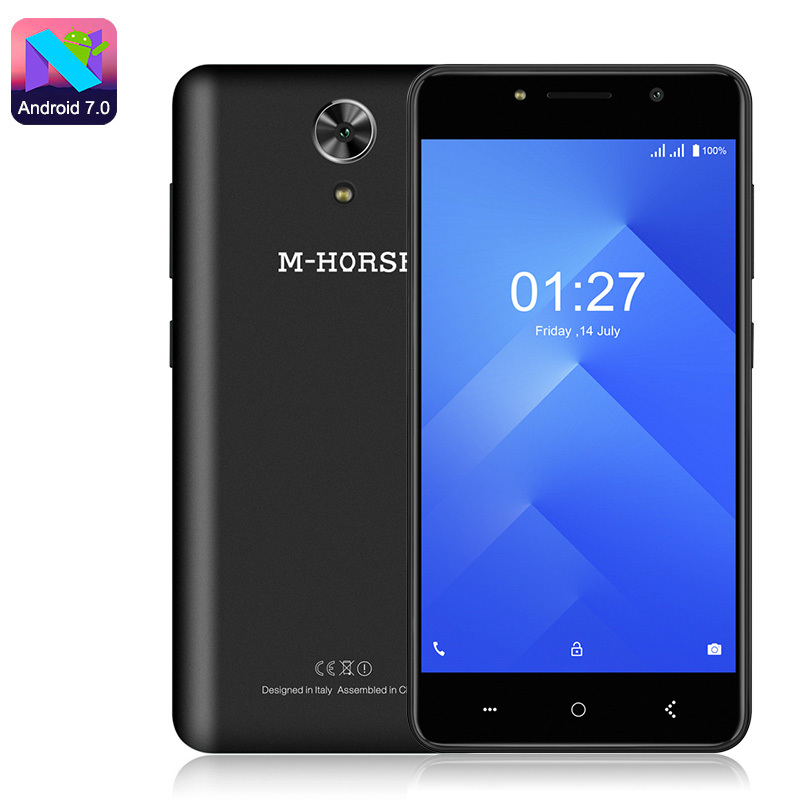 The M-Horse Power 1 phone comes with 12 months warranty, brought to you by the leader in electronic devices as well as wholesale android phones..